I like to keep the little hands around my house busy. It's better that way! 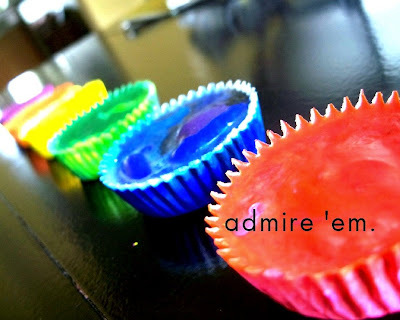 I have always wanted to make those baked crayon biscuits that I remember from my childhood. A few weeks ago, we hit our plethora of dinky used crayon nubs and decided to consolidate. 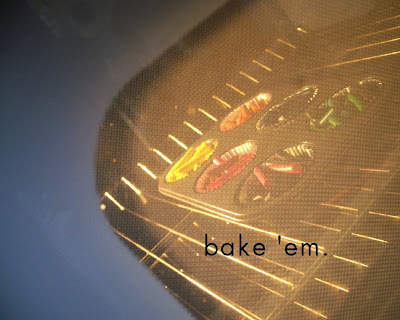 Set your oven to 350 and: Keep an eye on them though, take them out as soon as they melt! Awesome! 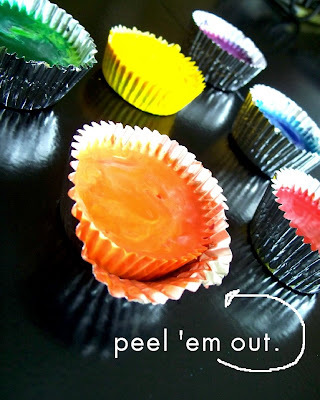 Having kids we have so many broken crayons and what better than to make these than throwing them all away. Thanks for the great ideas! I LOVE it. Again, colorful and creative and fun. You're awesome! LOVE THIS IDEA!! I don't know why I forget to make this a daily stop along with regular SITS! 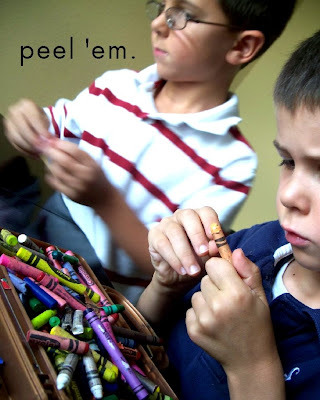 I am a home-ec teacher and I am totally gonna do this peoject with my students when we study babysitting!! My 2 year old would love this too! PS- you take the CUTEST pics! This is amazing! 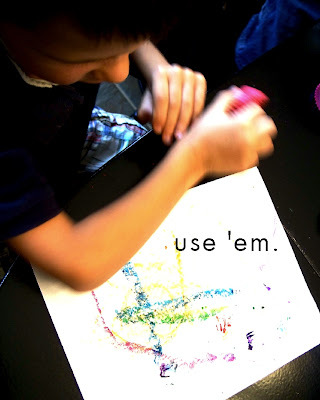 I have been searching for jumbo crayons all over our town. My little guy is only 15 months & simply cannot use a normal crayola crayon. THIS IS PERFECT! Thank you! 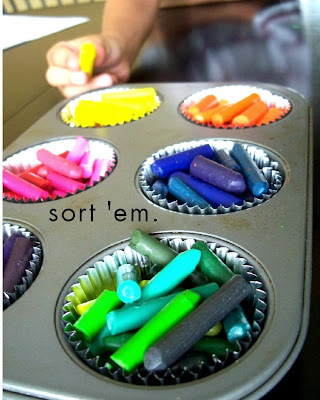 this looks beyond fun (crayon cupcakes) totally have to try that. oh my lanta; i'm so glad I found this site. If I post these ideas on my blog I will obviously link to your page and give you all the credit! so excited! I cannot wait to do this!!! - Хочу секса...Ну очень хочу! На 2 аса не меьнше! Вот ты можешь два часа? - А можно несугомный вопрос... Ты будешь во врремя секуса кричать? - Потому, что я уже сё, а до концап секса ещё 1 час 50 минут! Я 6 часов блуждала по сети, поак не выешла на ваш форум! Дуамю, я здесь останусь надолго! прошу прощения за опечаттки.... очень маленькая клавиатура у PDA!